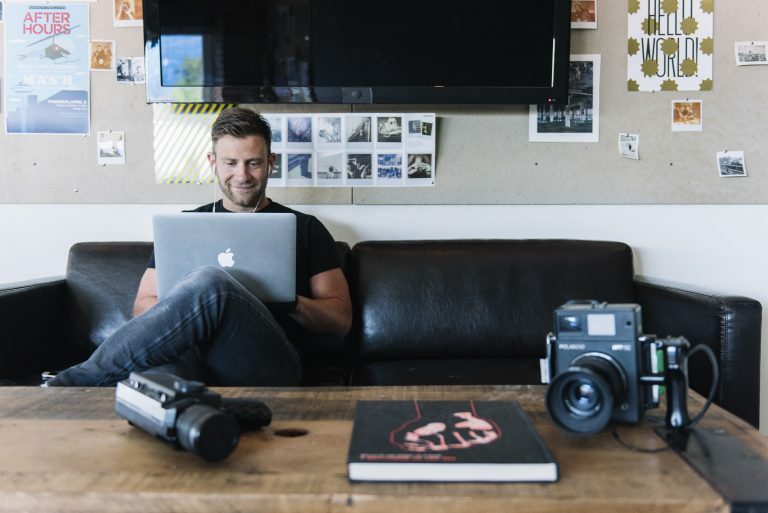 To continue celebrating our birthday month, we sat down with our founder Chase Jarvis to learn some of the lesser known facts about his background and the inspiration for CreativeLive. Through his experiences, there’s a lesson to be learned about trusting yourself and persevering through the challenges. After all, it’s those struggles that unite us all in the creator community and keep us motivated. Here are three questions from Chase Jarvis to keep you inspired and help you stay on track. What were you passionate about when you were younger? “When I was seven, I got the neighborhood kids together to make a film. We washed cars so we could buy some Super 8, and shot six-minutes of this silent thriller Sons of Zorro. We posted flyers around the block, sold candy bars and charged admission. Our parents and friends came out and had a good laugh. What is really at the heart of your project? “When we started bringing these massive communities together online, in real-time, it was like someone turned the lights on for the creative community. It was a way that you could realize that there were other people who were just like you, who were trying to learn the craft, who were struggling. That sort of empathy that was part of those early broadcasts — and still, today, I think that’s one thing that makes CreativeLive education wildly different. “Fear controls our entire culture. Personal fear, fear of failure, sometimes even fear of success.